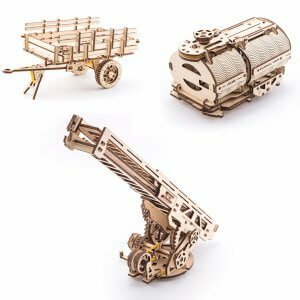 Throw on a pair of coveralls, put on a straw hat and set off to the fields with Ugears Tractor and Trailer set. 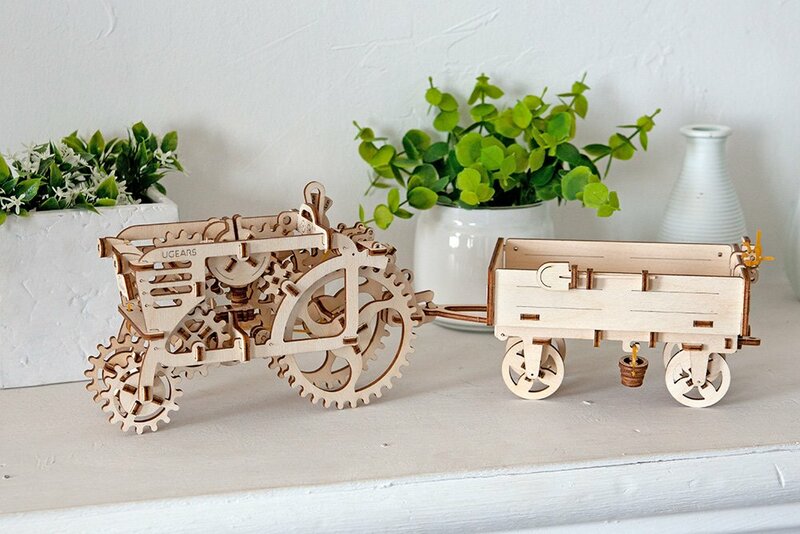 Ride a Tractor by itself or hook a Trailer to it for an ultimate farming tandem. 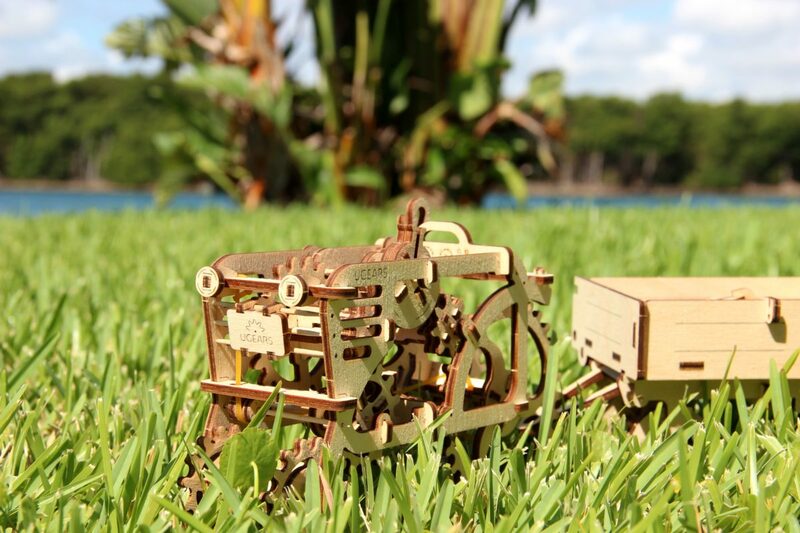 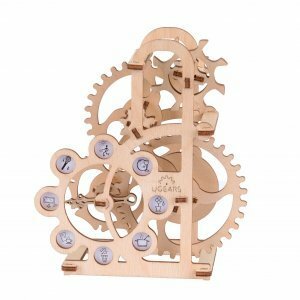 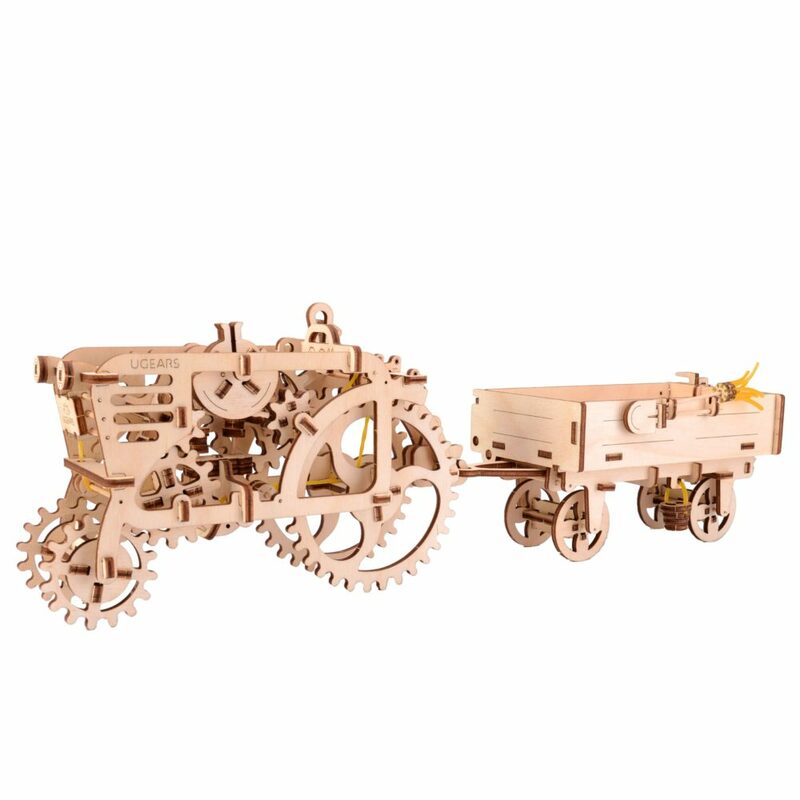 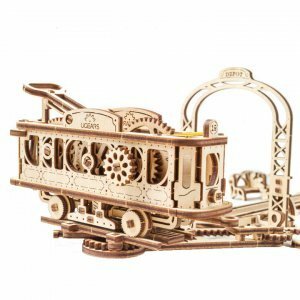 Ugears Tractor, a real-life mechanical toy, is operated with a rubber band motor and produces self-motion, while Ugears Trailer is an essential and fun addition that does not move on its own. 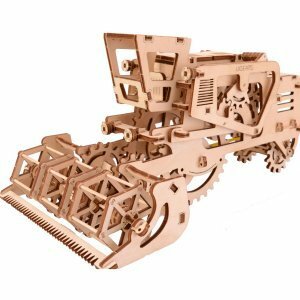 Nonetheless, Ugears Trailer still features mechanical parts of its own: a side gate that opens with a push of a lever for quick loading and unloading, and a crank in the front that tilts the bed for easy dumping. Both models are made with high quality wooden materials. 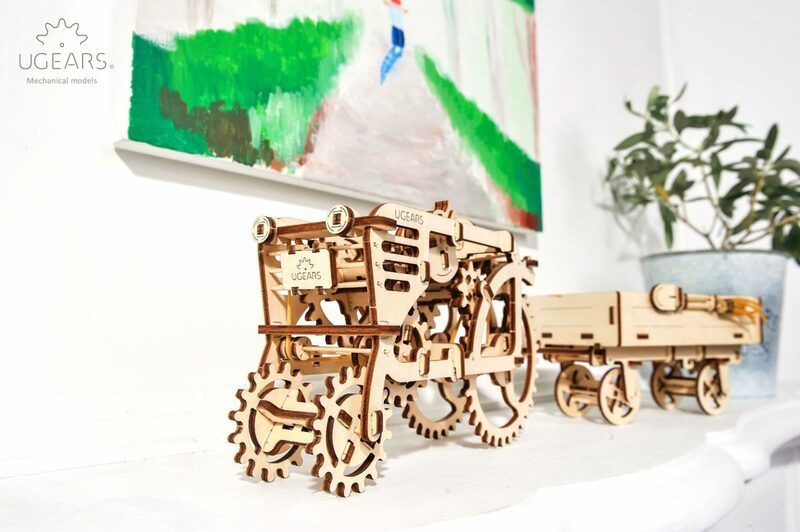 Ugears Tractor highlights a real-life like transmission switch that allows “park”, “drive” and “sport” motion options that allows it to move on a flat surface at a speed of about 5 centimeters per second. 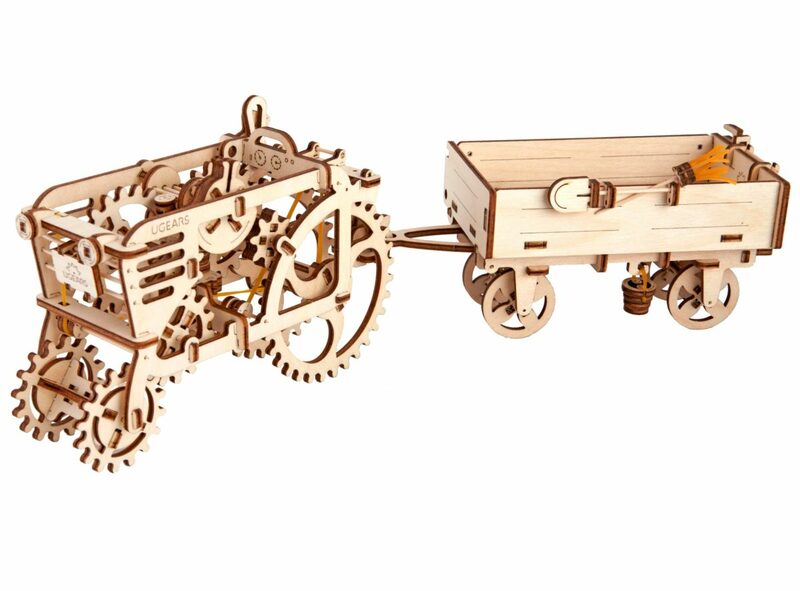 Ugears Trailer is equipped with a few neat details such as: pitchfork, shovel, and a bucket with a broom and a hook that connects Trailer to the Tractor’s hitching gauge. 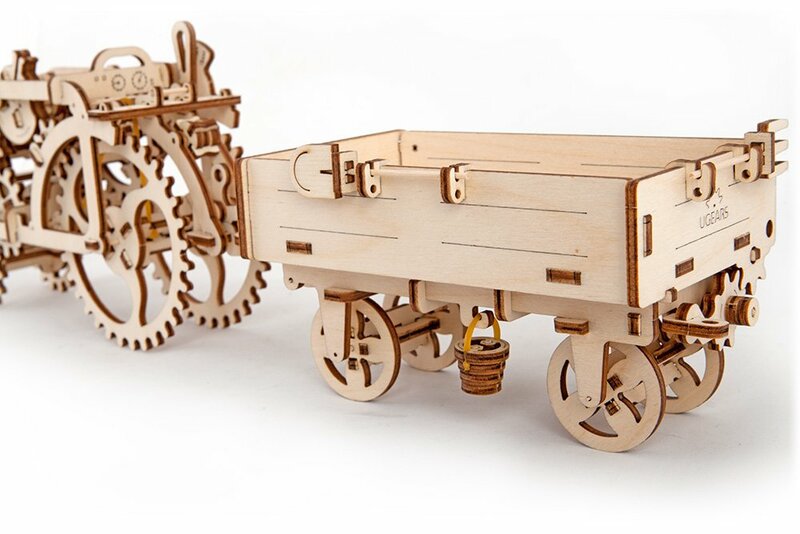 Although, this set was for my kids, the whole family got to enjoy it: kids had great time working on it and were thrilled by a self- moving toy that has no batteries or remotes: I enjoyed the original vintage look and a smart design… And my wife really appreciated a few hours of having a house to herself while boys and I were working on assembling and playing with this set in a garage.